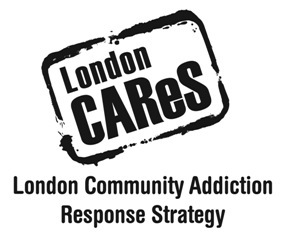 London CAReS does provide housing support to the 50 most chronically homeless people in London while leaving the other six hundred plus homeless people in London homeless. I do not understand why a homeless person must have high police contact, been in jail a lot, or have visited the ER a lot in order to get safe affordable housing. What has gone unmentioned is the people that CAReS has housed but then very soon after have died. It is nice to have a memorial site to remember them at but I wonder if more could have been done to ease their transition from the streets to housing so that they could still be with us today. So, from what I am reading it would be smart for a homeless person to have high police contact or high ER visits so that they too could get this safe affordable housing or this heaven on earth you speak of. Homeless people who do not deserve a home in the eyes of the city get to stay in an emergency shelter where the staff isn’t required to follow the emergency city guidelines and city managers are just too busy to hold the shelters accountable for not following the guidelines. The homeless get to sleep in an emergency shelter dorm that stinks most of the time and residents have a curfew and can’t watch television past eleven at most of the shelters. My suggestion to all homeless is go to the local beer store or LCBO grab some beer or liquor and get completely smashed because after all getting drunk feels good and it may be the best way to get housing. The homeless that are still left in shelter should all get together for one giant protest outside London CAReS office letting CAReS know that everyone deserves a home.